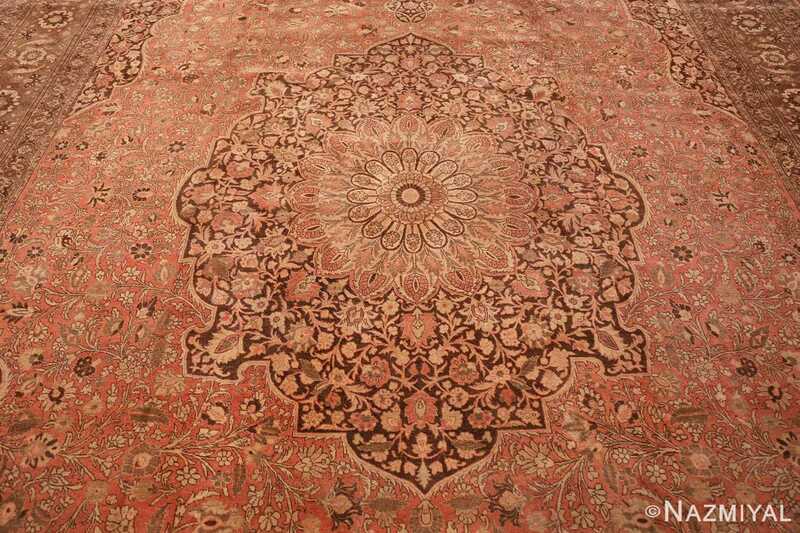 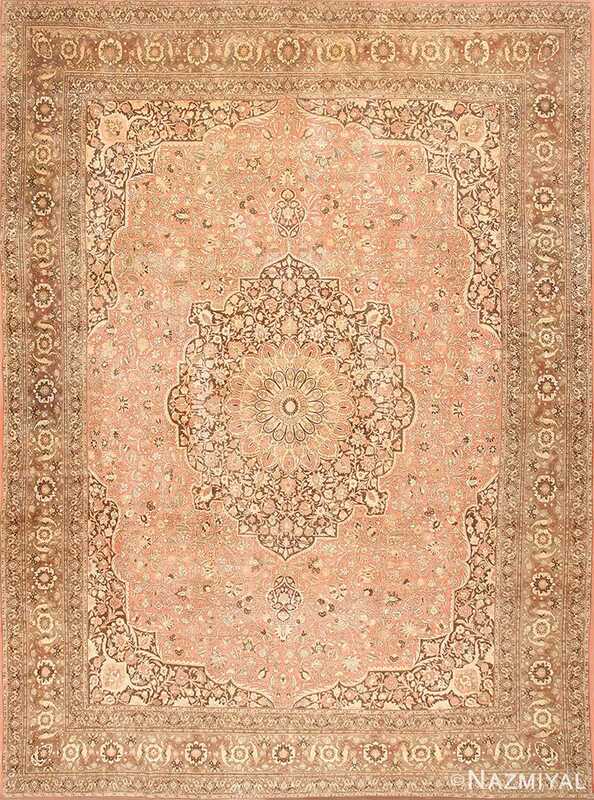 Antique Persian Tabriz Rug, Country of Origin: Persia, Circa Date: 20th Century– The warm hues of a rosy sunrise spread over this antique Persian rug, which features an ornate medallion at its center. 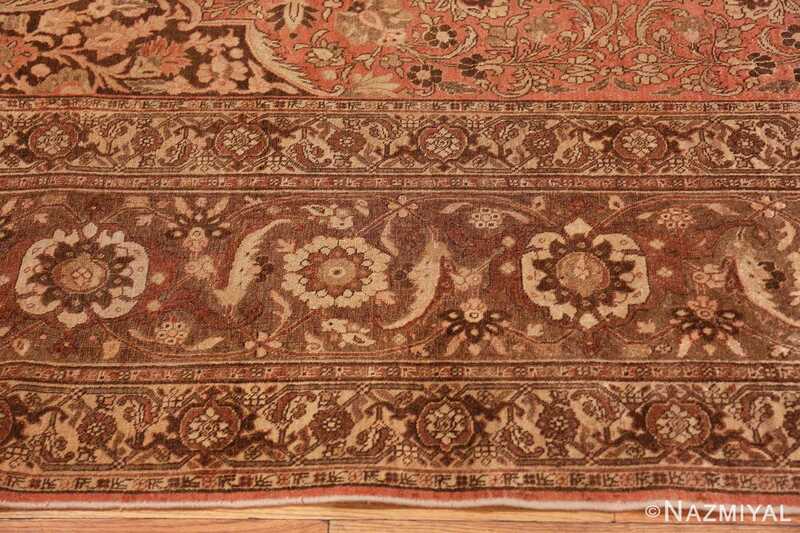 A tightly looping line forms a precise, circular blossom at the exact middle, a fan of feathery flowers spreading out around it. 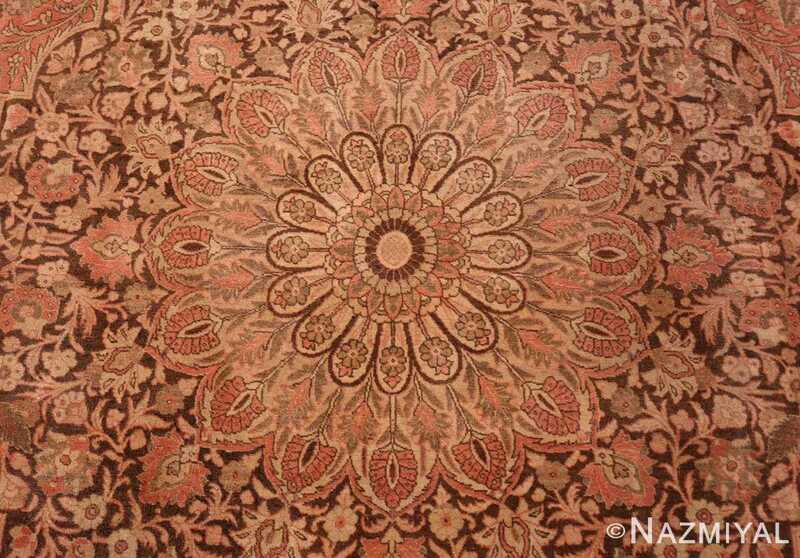 An earthy brown covers the background of the medallion, and an elaborate floral design fills the space as if embossed. 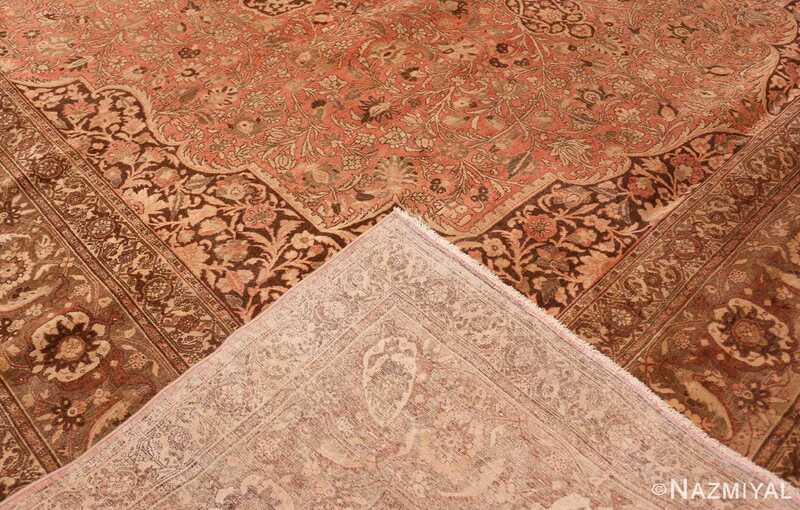 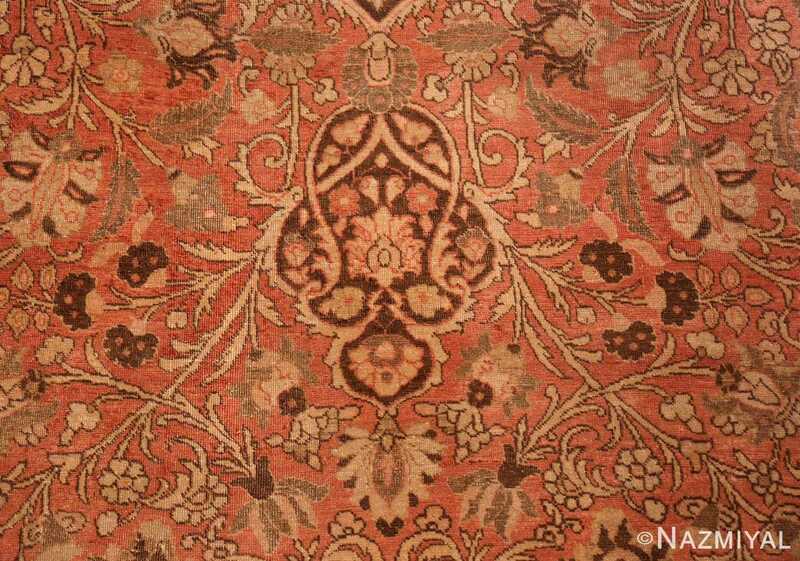 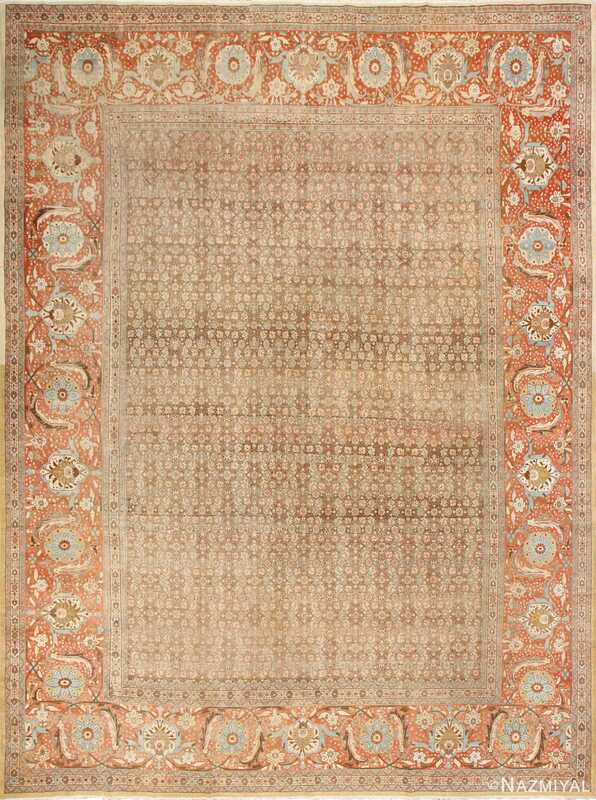 The wider field of the rug is a subdued orange, brimming with nearly identical decorations. 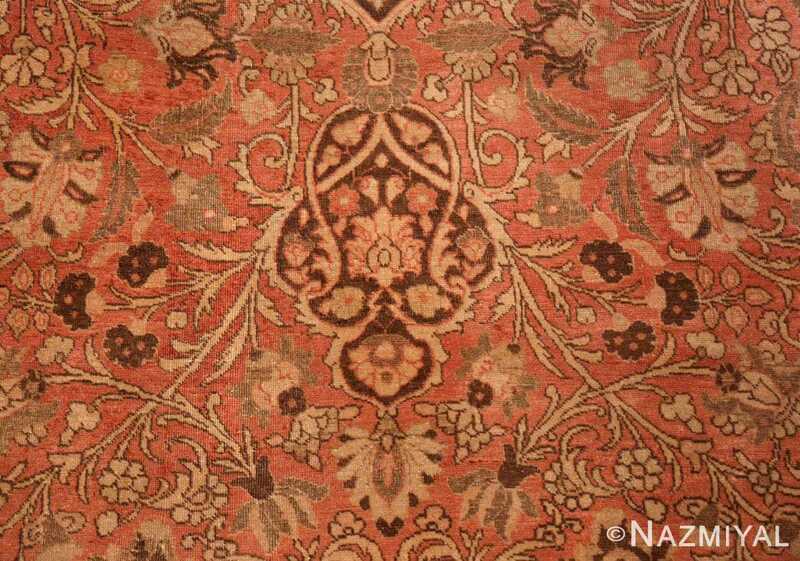 Dark corners match the contrast of the center, their inner borders curving elegantly. 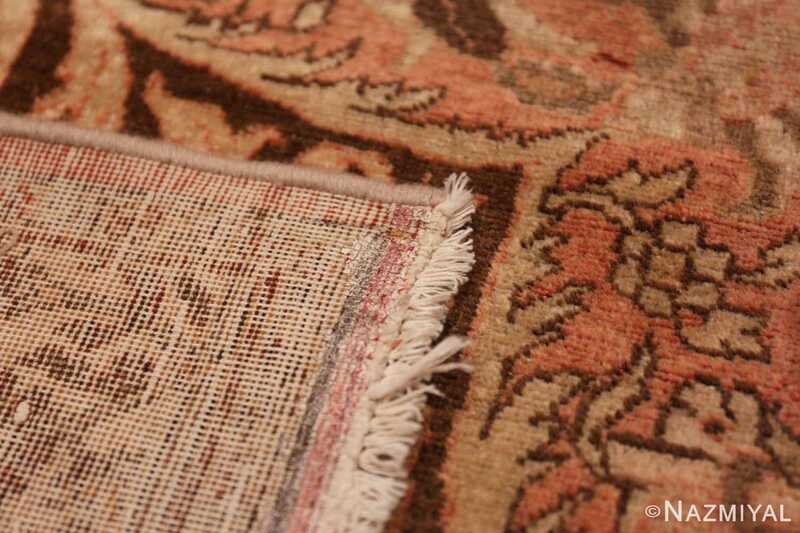 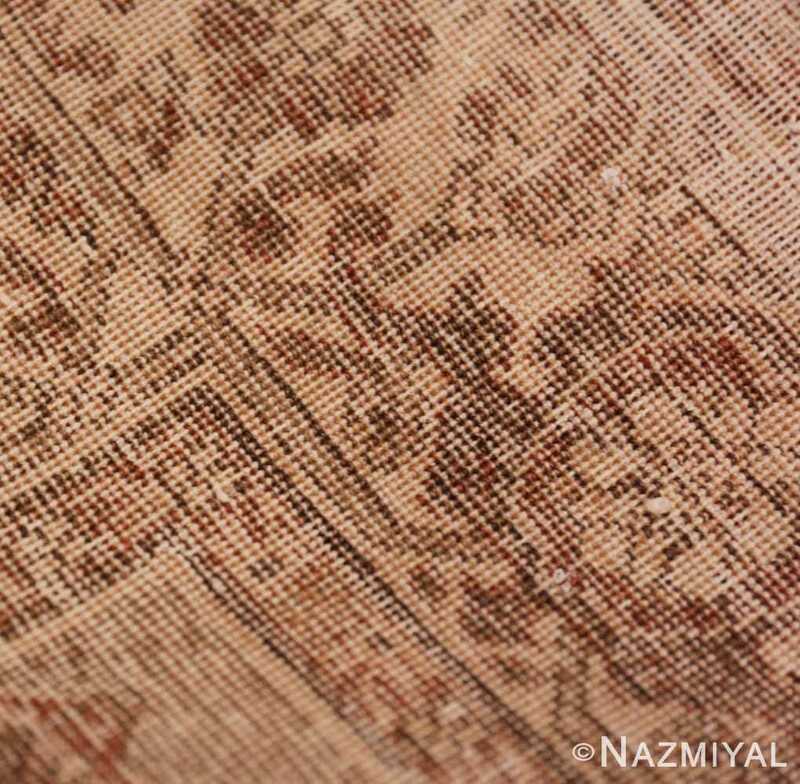 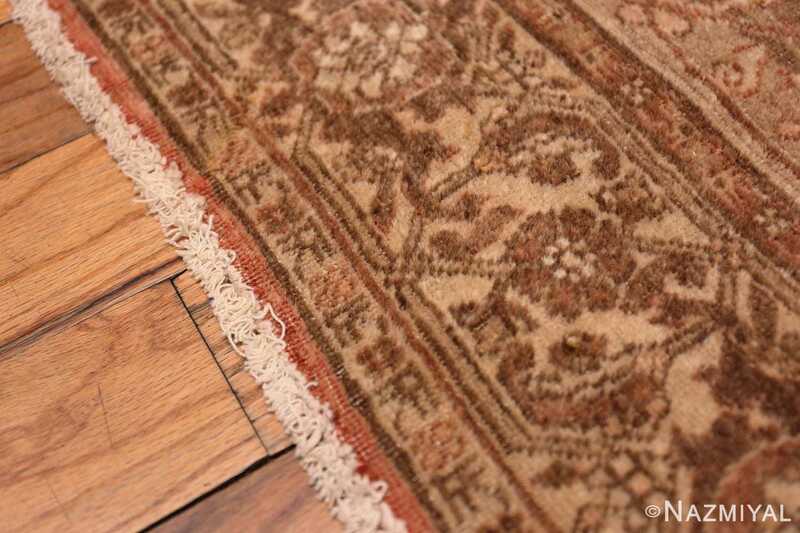 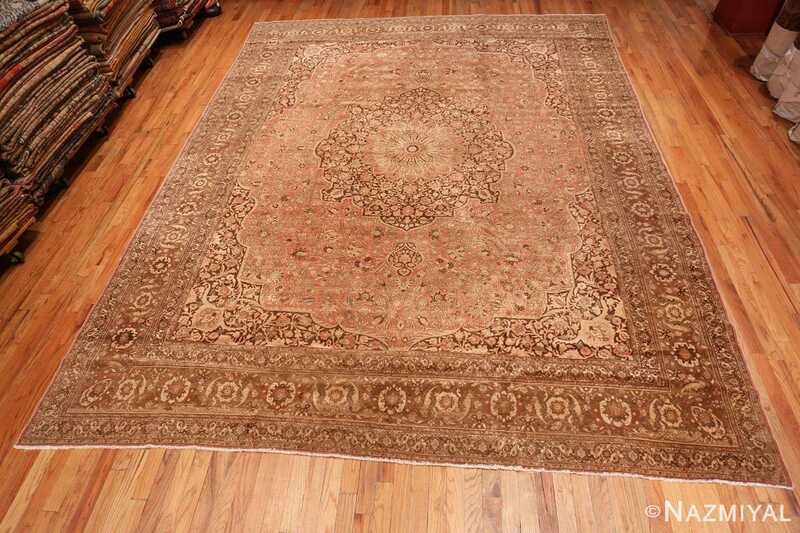 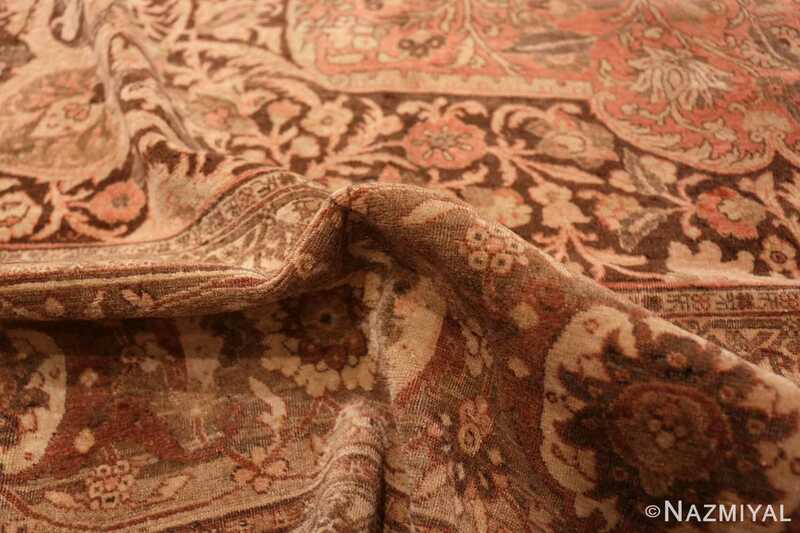 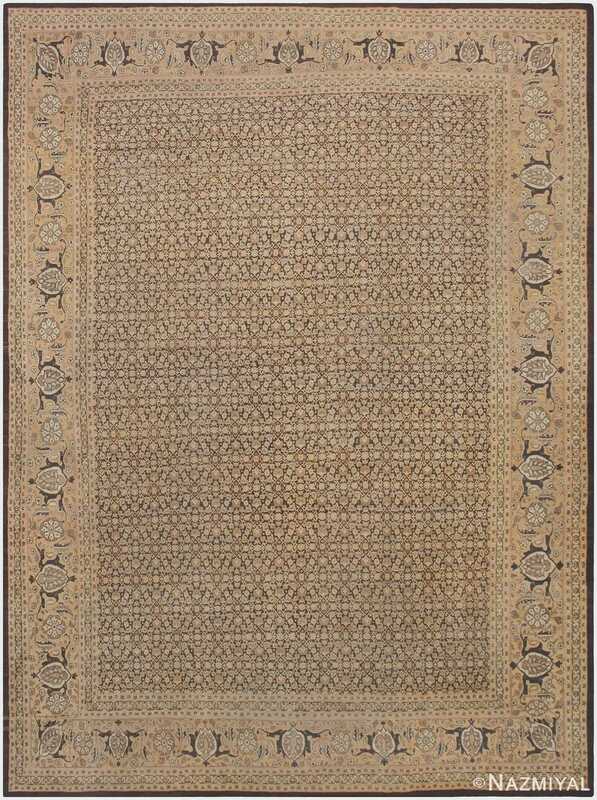 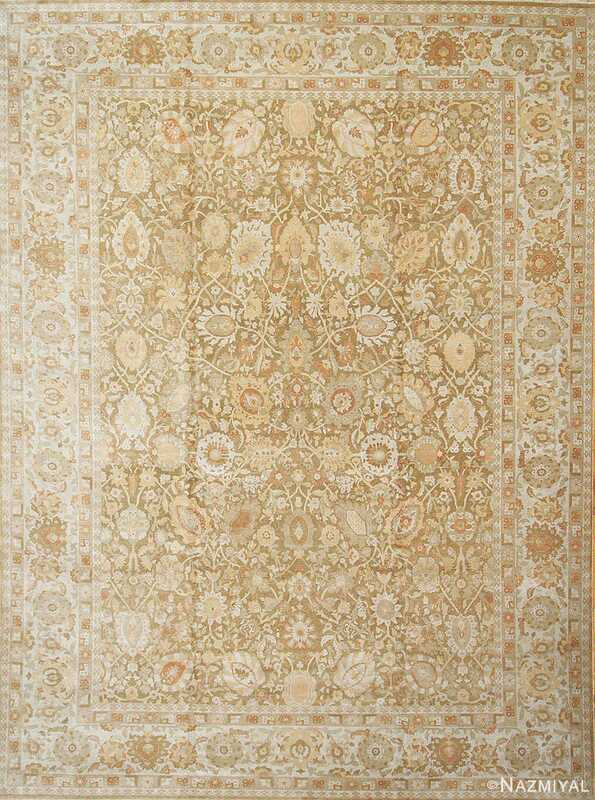 A set of brown borders displaying round white flowers completes the antique rug.